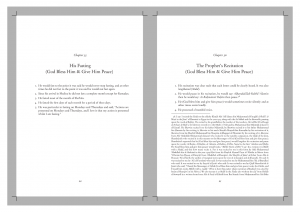 Please find below a pdf of a primer on the science hadith which is based on two works of the recent great Meccan hadith specialist: Sayyid Muhammad bin Alawi al-Maliki. This text was prepared for the second year students of the Alimiyyah programme being run in High Wycombe by the Karima al-Marwaziyya Foundation. Alhumdulillah a group of approximately 20 students completed the study of this text this academic year, may Allah Taala grant them and us tawfiq and taysir in all of our studies. One of the hidden elderly scholarly gems in the city of Mecca is Shaykh Abdul Qadir Dabwan, someone I have had the fortune to visit for several years now since coming to know of him. It occurred to me on a visit to Mecca several years ago to ask about the students of the great Shaykh Abdullah al-Lahji, someone who I (and numerous others) love dearly for his phenomenal commentary on the Shamail. When I asked our teacher Shaykh Khalid al-Turkestani about students of Shaykh al-Lahji, he replied, “The senior most living student in Mecca is Shaykh Abdul Qadir Dabwan, he has an itr shop near the Haram belonging to the Abdul Qadir Qurashi chain, more than this I do not know as I don’t have a contact number for him.” This information was sufficient for me, and after the process of elimination and visiting a number of itr shops around the Haram al-Makki by the grace of Allah (Most High) I managed to locate Shaykh Abdul Qadir’s shop. One of the texts he gifted me was the 40 hadith collection of his teacher written for the students of the Sawlatiyyah school. Please find below a pdf of a translation of this text alongside explanatory footnotes I compiled for the aid of teachers. 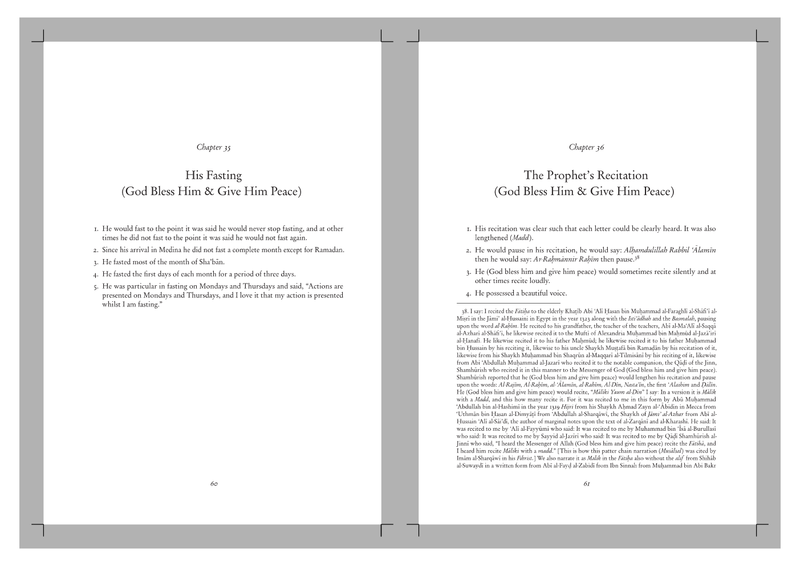 This text received a small private print of 100 copies in 2011 from the Karima al-Marwaziyya Foundation and was studied in High Wycombe in the Ramadan of that year. Shaykh Abdullah bin Saeed al-Lahji was born in Hadramawt, Yemen in 1343 Hijri. He studied extensively with a number of scholars in his native Yemen before coming to Makkah to perform Hajj in 1374 Hijri. He stayed for a year and in 1377 Hijri moved permanently to Makkah where he resided until he passed away in 1410 Hijri aged 67 years old. During his time in Makkah he taught in the historic Al-Sawlatiyyahschool for 23 years as well as being honoured with teaching in the Masjid al-Haram. 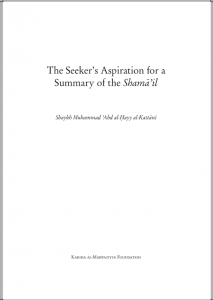 Shaykh al-Lahji had a number of students, but is perhaps best known in scholarly circles for his amazing handwritten 2,200 page, four volume commentary on Qadi Yusuf al-Nabhani’s work on the Prophetic Shamail. These 40 hadith were compiled by him for students of the Sawlatiyyah school, and was published during his lifetime. We hope this text will also be of benefit to English speaking students. 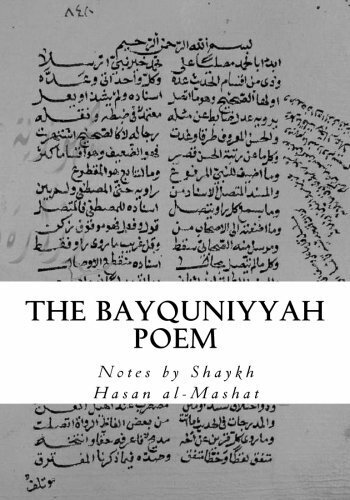 Please find below a downloadable pdf of our publication of the Bayquniyyah poem on hadith terminology along with the notes of Shaykh Hasan al-Mashat (1899-1980), one the recent great Maliki Ashari scholars of Mecca (picture above). Alhumdulillah we were able to pass on this work to some of the students of Shaykh Hasan who are still living in the sacred city and who read extensively with him and benefited from his tarbiyah. 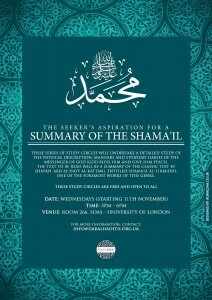 We hope this work is of use and benefit to students of the sacred sciences. 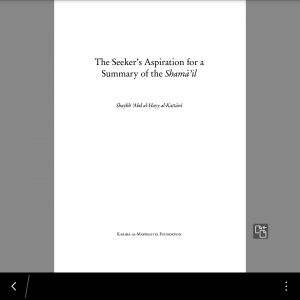 Dear friends, in the month of Rabi al-Awwal we are pleased to announce that you can now download the translation of the summary of the Shamail al-Tirmidhi by the notable scholar of the Maghrib: Shaykh Abd al-Hayy al-Kattani. 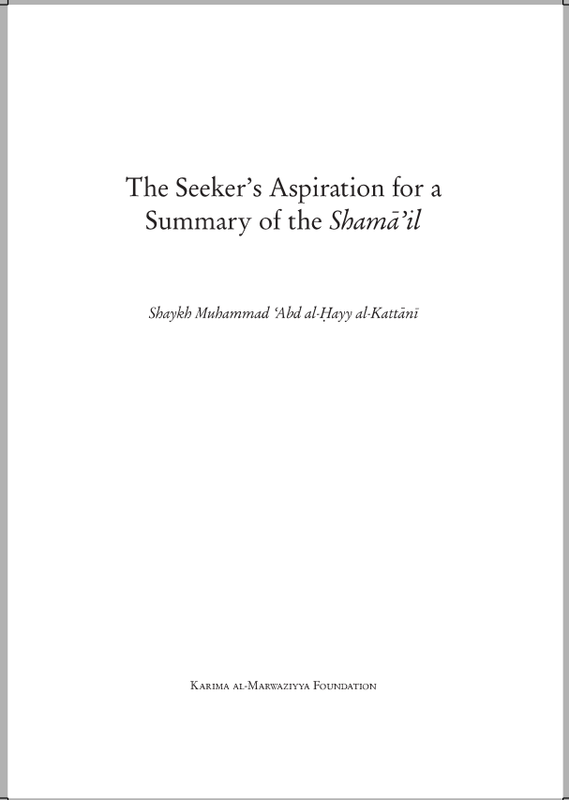 This blessed text is an excellent introduction to the contents of the Shamail and suitable for use in study circles and as a quick overview of Imam al-Tirmidhi’s celebrated work. 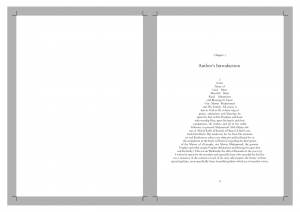 You are welcome to print off this pdf for your personal and teaching use, please note that this work is available in print format on amazon via this link for a reasonable price and that all proceeds for the sale of this book will go towards educational projects. Please find an updated and corrected version of an old post analyzing the narrations regarding the virtues of the night of Mid Shaban. Alhumdulillah by the grace of God (Most High) we were able to complete a reading of Shaykh Abd al-Hayy al-Kattani’s summary of the Shamail al-Tirmidhi yesterday in London. The first is an audio message for the attendees of the khatam by Sharif Hamza al-Kattani who is a relative of the author and is well known and respected in scholarly circles. The second is a musalsal hadith related to the chapter of the passing away of the Prophet (God bless him and give him peace) (which was covered yesterday) that I forgot to mention. It is known as the musalsal hadith of crying, wherein each scholar who narrates the hadith sheds tears when narrating the hadith, just as the scholar they received the hadith from cried and so on and so forth all the way back to Sayyidah Fatimah (upon her be peace). The hadith relates to Sayyidah Fatimah’s statement to Sayyiduna Anas (God be pleased with him) regarding the Prophet (God bless him and give him peace) burial. The narration is from Sayyiduna Anas, the beginning portion of which is, “Fatima said: O Anas, how were you able throw soil upon the Messenger of Allah (whilst burying him)….” at the end of the narration Sayyiduna Anas witnessed her crying. 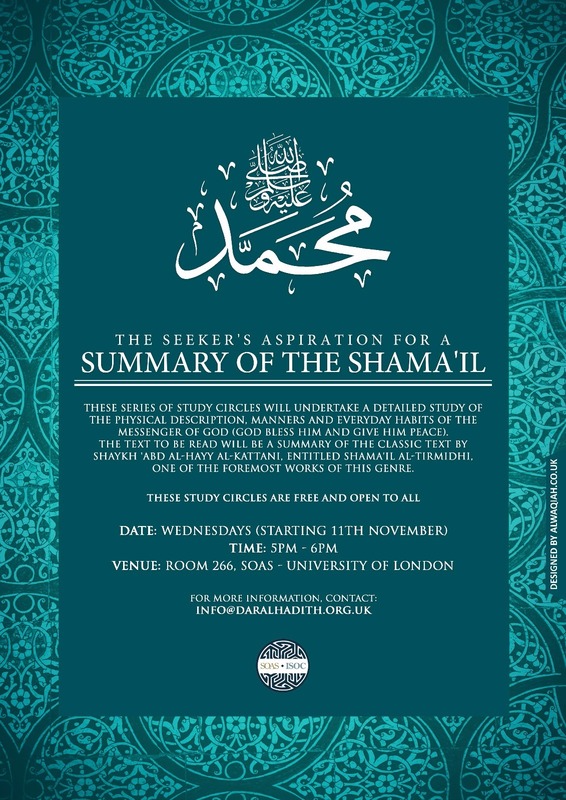 Alhumdulillah we are currently undertaking a study of a summary of the Shamail al-Tirmidhi authored by the great hadith scholar: Shaykh Abdul Hayy al-Kattani. Alhumdulillah we are pleased to announce the second revised edition of the translation of Shaykh Abd al-Hayy al-Kattani’s summary of the Shamail is now available for purchase on the Amazon website. This text closely ties in with our Shamail project mentioned on this website and is published by the Karima al-Marwaziyya Foundation. All proceeds from this text will go towards education projects. Also note that this is the first islamic work in the English language which makes use of a footnote of a footnote. A slightly obscure point worth mentioning! By the grace and facilitation of God we are pleased to announce the forthcoming release of a unique summary of the Shamail al-Tirmidhi by the great Moroccan scholar Shaykh Abd al-Hayy al-Kattani. The author of this summary brilliantly summarises the contents of each chapter in a succinct form and whilst doing so adds any interesting points as a side note for readers. 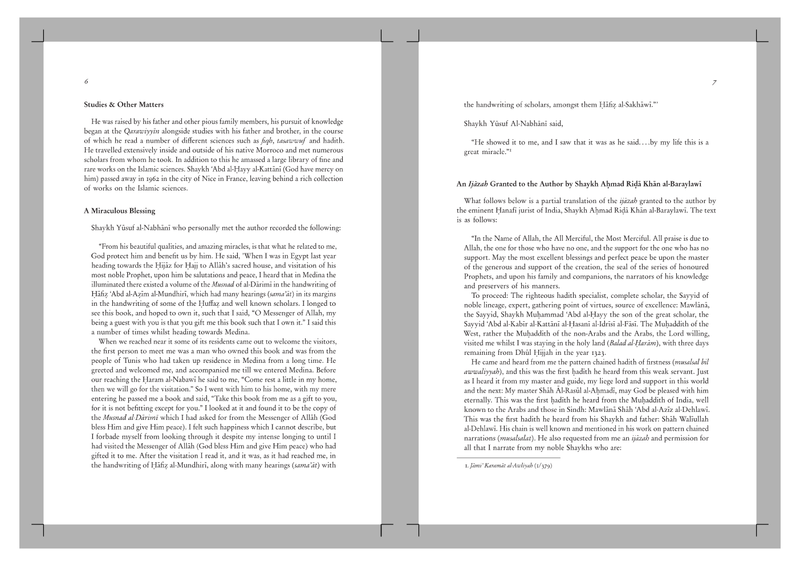 This book will be a full translation of the text inclusive of all of Shaykh Kattani’s comments placed as footnotes. 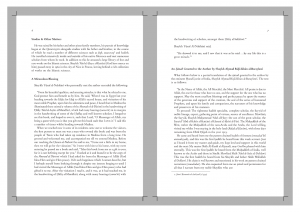 This work will also inshAllah have for the first time for an Islamic text in the English language the inclusion of a footnote to a footnote which is possible via the use of the latex typesetting language. Readers can see a demonstration of it use in the above image with the lettered footnote. 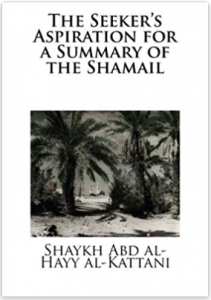 This text is an excellent introduction to the study of the Shamail, and also serves as a preparatory text for the reading of the original Shamail al-Tirmidhi. 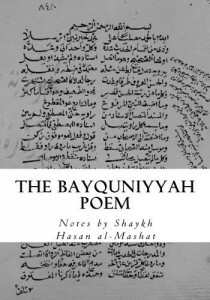 Alhumdulillah we have now released an early draft of the Bayquniyyah commentary on the science of hadith by the great Meccan scholar Shaykh Hasan al-Mashat. 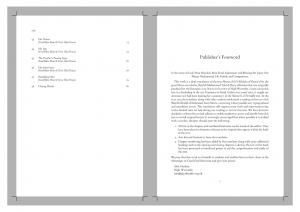 This book is part of a larger project which still needs reviewing, but it was thought that the release of this portion would prove useful inshAllah to teachers and students alike. We were fortunate to be able to study this text in the blessed month of Ramadan which has just passed, and were honoured with the completion ceremony of the text with Shaykh Khalid Turkestani from Mecca. 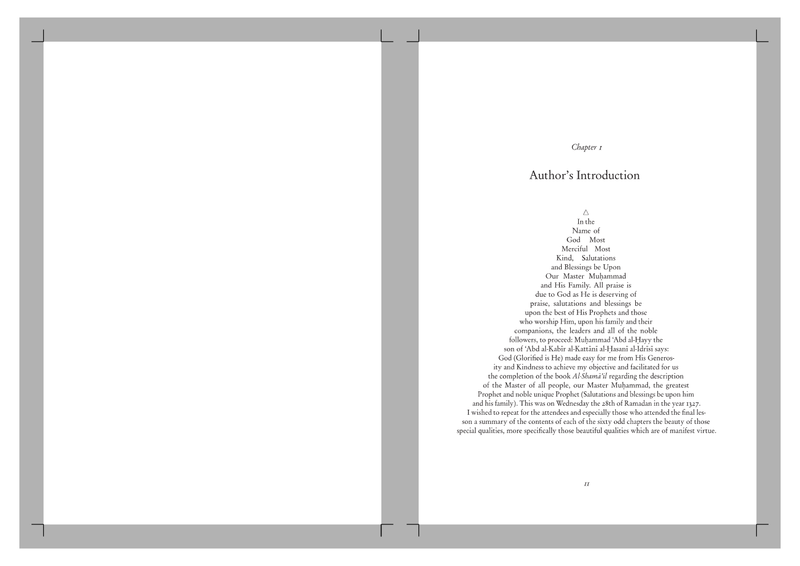 The book can be purchased from the link here. Please note, proceeds will go to an education project and not personal profit.